STREAT is a social enterprise providing homeless youth with a supported pathway to long-term careers in the hospitality industry. 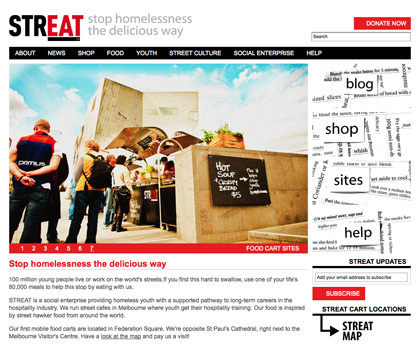 We run street cafes in Melbourne where youth get their hospitality training. Our food is inspired by street hawker food from around the world.